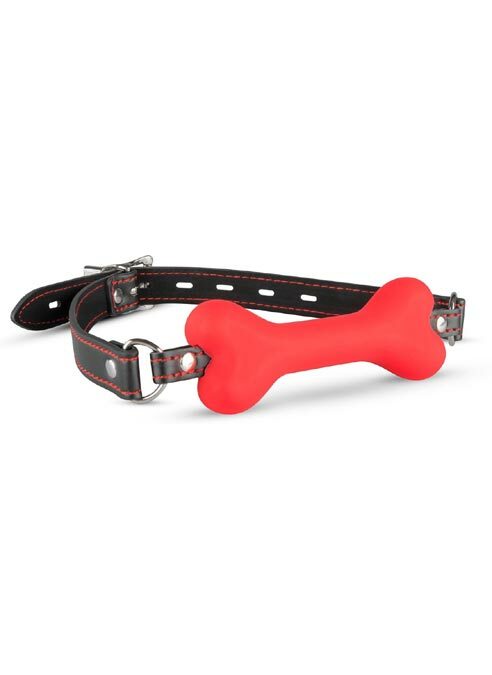 This bone-shaped gag is perfect for pups who need some tough love. The gag is made of soft, odorless and tasteless silicone. The gag is quite narrow, which makes it perfectly suitable for beginners. The adjustable head strap makes sure the gag always has a good fit and stays in place during use. This gag is great to combine with a collar with leash to complete your Puppy Play session. Due to the (intimate) nature of this product it is subject to a different return policy and excluded from the standard return policy. Please check the general conditions for the restrictions.